Buying a New Car: When's the Best Time? The 2019 Toyota Camry Hybrid could be the best Camry of the bunch. It gets terrific fuel economy with very little downside. Both sedans are at the top of their game, so which is better? Monday Quiz 111: Can You Identify This Car? Monday Quiz is back for another round. 2019 Toyota Camry vs. 2019 Nissan Altima: Which Is Better? Both of these family sedans have been redesigned in the last 12 months. Just like in life, timing is everything in car-buying -- and buying a car at the right time could be the difference between saving hundreds, or even thousands, of dollars on your next vehicle purchase. While some shoppers believe negotiating is the only way to get a good deal on a new car, there’s really no guarantee your savings will justify hours spent at the dealership. Doing thorough research ahead of time and waiting for the right time to buy is a better strategy. 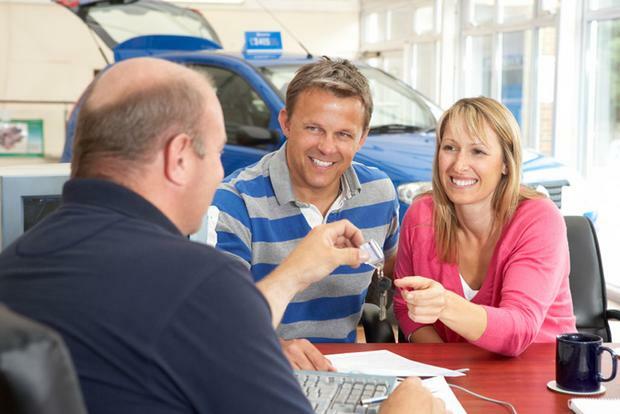 Of course, despite the move to bring shoppers a car-buying experience that occurs predominantly online, dealerships are still driven to move inventory as quickly, efficiently and profitably as they can, regardless of how shoppers are buying vehicles. So, when is the right time to buy? And how do you use timing to your advantage to get a great car deal? Here are a few timing tips that will help you secure the best-possible price for your next vehicle. You've probably heard that you can get a better deal on a car if you buy it at the end of the month -- and that's true. But it's not just the end of the month: You can usually swing a better car deal by buying your vehicle at the end of just about any period. For example, buying a car at the end of a day can sometimes yield better deals, as dealership employees may have home on their mind and, therefore, may be more flexible over the terms of sale. If you show up rested and refreshed at the end of the day, you might find a slightly better deal than you'd get if you arrive bright and early on a Saturday morning. Of course, buying at the end of the month is also always a good idea, as car dealers work hard to meet monthly sales quotas. In some cases, salespeople have financial bonuses assigned to their monthly sales quota -- which means they're willing to lose money on a car or two at the end of the month in order to make even more money by reaching their bonus. And then there's another end period you could use to your advantage: the end of the quarter. Buying a car at the end of the month in March, June, September or December often leads to even better deals than buying at the end of the month, as dealerships are trying even harder to reach sales goals. Another way to use timing to your advantage when buying a new car is by getting a vehicle from the previous model year. New-model-year vehicles will start to come out in the fall of the previous year -- for example, a 2018 model will debut in the fall of 2017 -- and dealerships usually want last year's stock gone before the new model arrives. But that doesn't always work out, and if a 2017 model is still on the lot when a 2018 model arrives, dealerships will usually offer heavy discounts on the older model in order to sell it. Of course, there could be a drawback to this: If you buy last year's model, and the new version is substantially changed or updated with a new look or new features, you won't have the latest and greatest in technology or design. For some shoppers, that's a deal-breaker, but other drivers who just want the best price probably won't mind. Shop during holiday weekends, such as Labor Day, Memorial Day, Independence Day or Thanksgiving. You'll often see or hear car dealerships advertising huge deals or blowout sales during holiday weekends, and those ads are almost always accurate. Automakers often offer special financing or cash-back deals for holiday weekends, and dealers sometimes tack on to those deals with special incentives of their own. While you might not want to spend your holiday weekend test-driving and signing the papers on a new car, doing so could help you save thousands of dollars and give you the peace of mind that you got a great deal. Soon, you’ll be able to complete an entire car purchase online -- everything from the financing to the price, color and trim level can be handled virtually. In fact, you can already do some of these things online. There are even variations or different “flavors” of digital or virtual car buying. Autotrader lets you start the process from home or work, even applying for financing and valuing your trade-in without ever having to visit a dealership. Cars listed on Autotrader with an “Accelerate” logo are eligible. The ultimate goal is to get you into the car you want quicker and with less time spent doing paperwork at a dealership. You’ll still have to sign the papers in person but, for the most part, you get to do the hard work at home and save the fun stuff for your trip to your local dealer. Of course, most people will still want to visit the dealer for a test drive, product demo and to make sure little Susie’s booster seat will fit. However, this digital retailing revolution doesn’t negate the guidelines we’ve outlined here. As long as there is something to sell, inventory, demand, seasonality, quotas, bonuses and incentives will continue to play a role -- and making the most of those things is the same whether you’re visiting a dealership in person or transacting online. Editor's note: This content has been updated from its original version.